In this video, Don uses the basic blues progression as a vehicle to teach chords and soloing techniques found in contemporary blues and jazz fusion. He starts by guiding you through the dominant chord family, showing the basic chords and their substitutions for comping, plus scales, arpeggios and melodic ideas for improvising. Next, he covers how to solo over each chord in the 12-bar blues using secondary dominants and the turnaround. 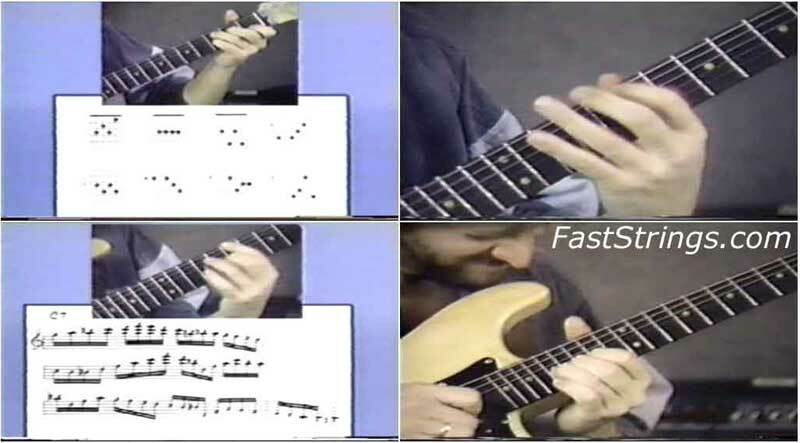 Finally, he breaks down three jazz-fusion 12-bar blues solos, with an in-depth analysis of each bar. Special features include a printable PDF booklet with note-for-note transcriptions, a bonus performance from Robben Ford’s The Blues and Beyond, and a bonus lesson from The Definitive Steve Morse. Don Mock is internationally recognized as a master educator, guitarist, author, recording artist, composer, and synthesizer stylist. As one of the three original founding instructors at the Guitar Institute of Technology (GIT) in Hollywood, Don has long been known and respected for his broad knowledge of the instrument. This is a must have video for players and composers who have little comprehension of the specific connections between blues and jazz. It contains enough to decipher a jazz tune or build one up from blues, and even to create songs in styles along the blues to jazz continuum. Don Mock is a great guitarist and teacher (especially in Jazz-Rock Fusion, Jazz, and Theory). His DVDs, whether his own tutorials or his productions of other players (e.g. Joe Pass), are always worth owning because they are so informative and well balanced between playing specifics and music theory that they are reference tools good for a life time, and should hold their resale value (though I plan to keep mine). cannot download in india. can anyone please mail it to me? Amazing information… but this is not the booklet man… The booklet is from the Hotline Series “Fusion” with Don Mock also, actually the real booklet is 64 pages, well that is what is written in the package of the DVD XD … anyway thank u for this!! Finally. been looking 4 this a long time! OMG Finally !!! Wanted this one so bad, thanks!